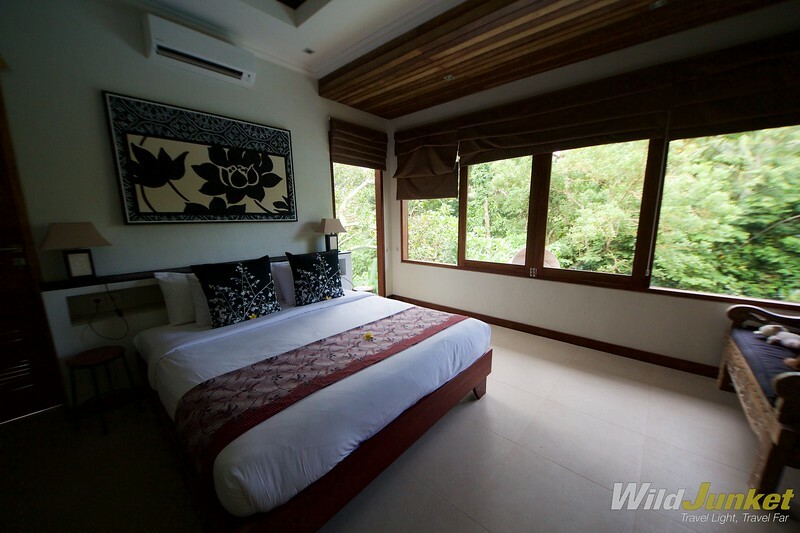 Great way to experience the real Bali, without the tourist traps and souvenir shops. Stunning location within a jungle and a river flowing beneath. 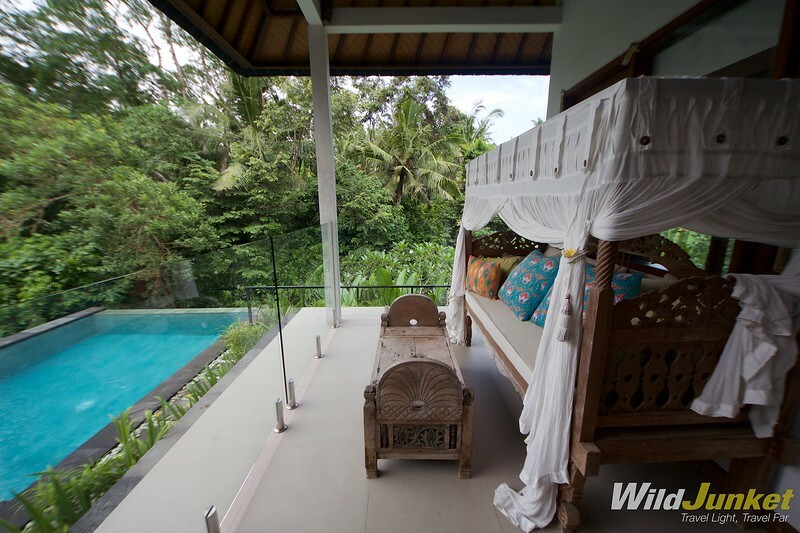 Surrounded by lush jungles and tropical foliage, Villa Umah Wa Ke gives a truly unique experience that few other accommodations on Bali can rival. A river flows just beneath the villa, and different types of tropical vegetation — from fragrant frangipani to banana trees and swaying coconut palms — envelop the villa in a garden-like assemblage. It gives the sensation that you’re immersed deep in rural Bali, but you’re actually just a 10-minute drive from the world famous seaside temple Tanah Lot and 15 minutes from the beach town of Canggu. Umah Wa Ke means “my home” in Balinese, and its name truly brings out the essence of the villa: it feels like a home away home. My family and I felt right at home here, waking up to the sounds of birds chirping and the river flowing underneath, and watching the sun’s rays pierce through the jungle foliage right outside our windows. In the mornings, we would take a dip in the infinity pool, and then head out in the afternoon to explore the surroundings before reclining on the veranda in the evening with our favourite drink in hand, watching the jungle inhabitants frolic and play. With such an exotic setting, the villa is an excellent escape for those who are seeking the real Bali experience without going too far. 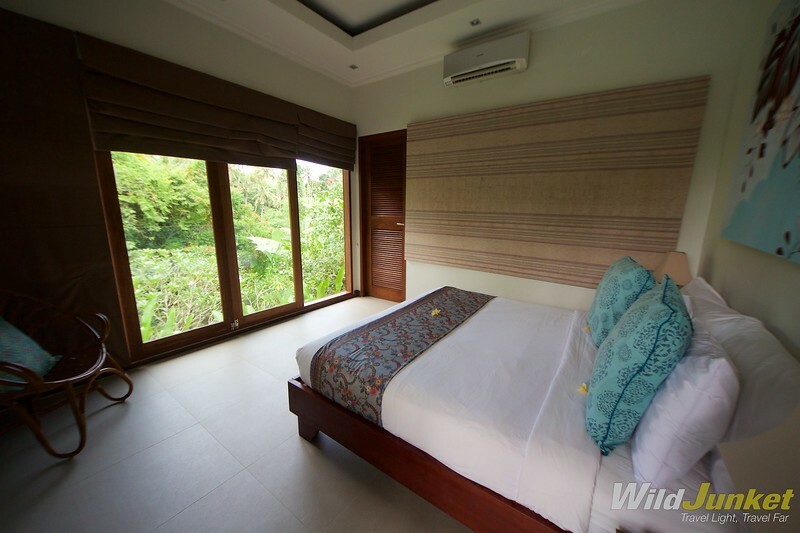 Just 50km from Denpasar Airport, the villa is found in Tabanan on the western coast of Bali — a calm and serene area far from the chaotic traffic and tourist crowds of Seminyak and Kuta. 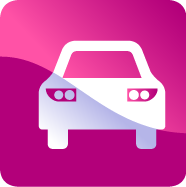 You’ll need a car to get here and explore the surroundings, but renting a car usually only costs US$18 to 25 a day. Although it’s a quiet area, there are meany activities and interesting sites to explore nearby, such as the world famous seaside Tanah Lot temple, which is also one of the most photographed temples on Bali. Within an hour’s drive away are the spectacular UNESCO Heritage Site of Jati Luwih rice terraces, which are just as stunning as the more popular but crowded Tegalalang rice terraces. For the more adventurous, Tabanan is home to the second largest peak in Bali, Mount Batukaru, and the waterfalls of Gigit also offers some great canyoning. As Villa Umah Wa Ke is tucked amidst the jungles of Nyanyi, we were quite surprised upon arrival at just how luxurious the villa is. Featuring an open concept, the villa gives new meaning to outdoor living with nothing but low glass panels separating the living area and the exterior. 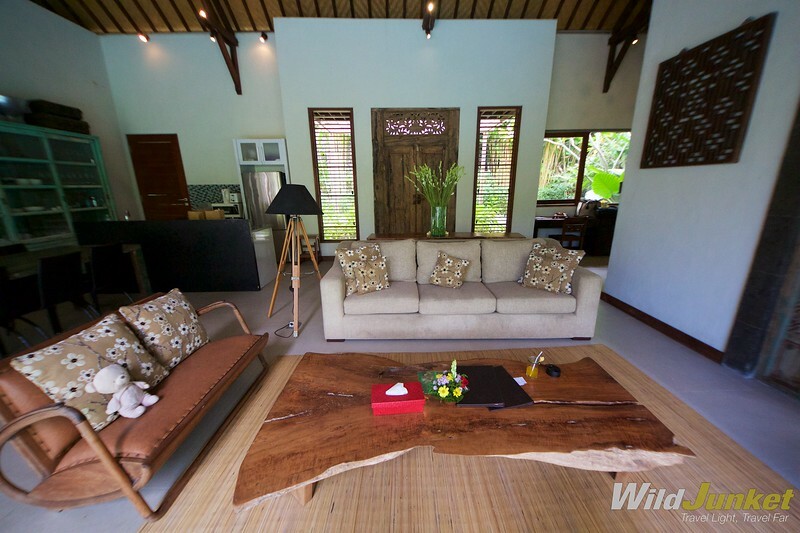 On the inside, the villa is tastefully designed with antique Balinese wooden doors and tables, alongside stylish and modern furniture that blend seamlessly with the natural surrounding. 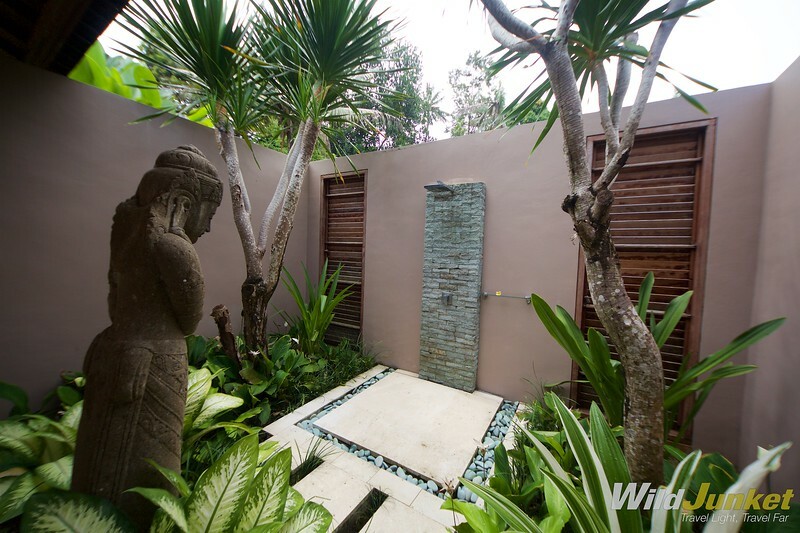 You’ll find hints of Balinese culture everywhere — from the detailed carving on the main door frame to artwork that hang on every wall and the outdoor shower in every room. 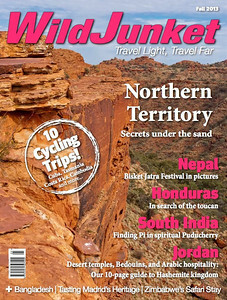 Umah Wa Ke is the brainchild of the Balinese-Australian couple, Made Sugita and his wife Heide. This is essentially their holiday home, where they come on a regular basis to visit family. They’ve opened up this special place with the idea of sharing a unique part of Bali with guests. When you’re staying here, you can’t help but feel like you’ve been warmly invited into someone’s home — and that is a special feeling. Villa Umah Wa Ke isn’t a big property, but it has a smart layout that manages to fit in three spacious bedrooms, a media lounge, and an open-concept living and dining area all into one space. 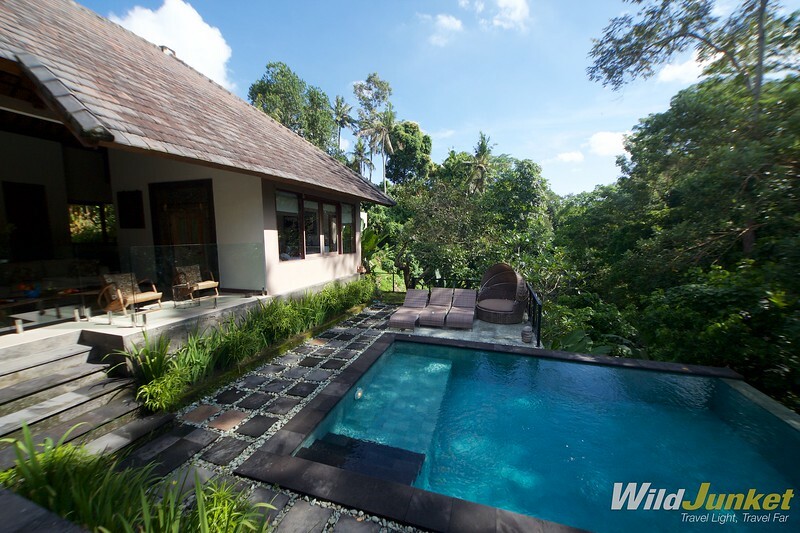 The infinity pool that hangs over the flowing river and surrounding jungle is the centrepiece of the property. It’s also probably where you’ll be spending most of your time if you stay here. The villa is perfectly set up for families, with a verandah surrounding the pool, creating a play area that’s safe and fun for kids. While there’s no TV in the living area or in the bedrooms, the media room will offer the screen time children enjoy that also provides relief for us parents. Our two-year-old daughter also really enjoyed the library, fully equipped with plenty of books and boardgames to keep the whole family entertained. 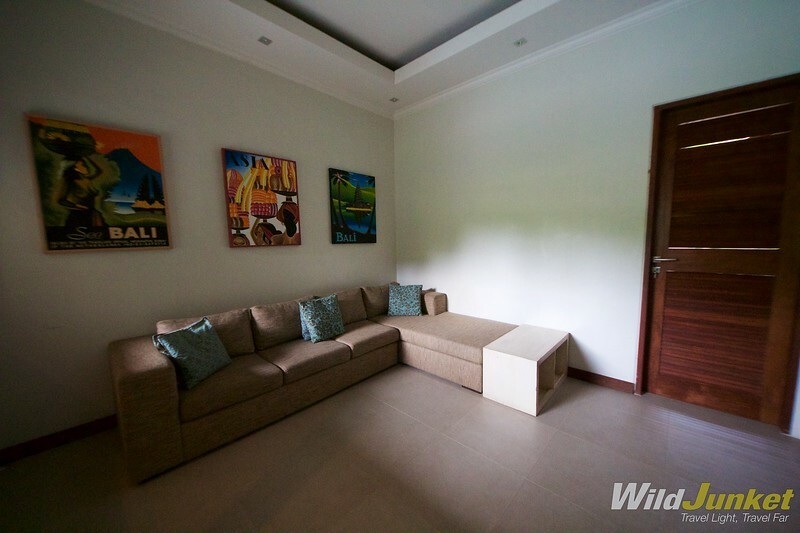 Besides that, the villa also features a well equipped kitchen, dining area and a cosy living area with a sofa set, flat-screen satellite TV and CD/DVD player. 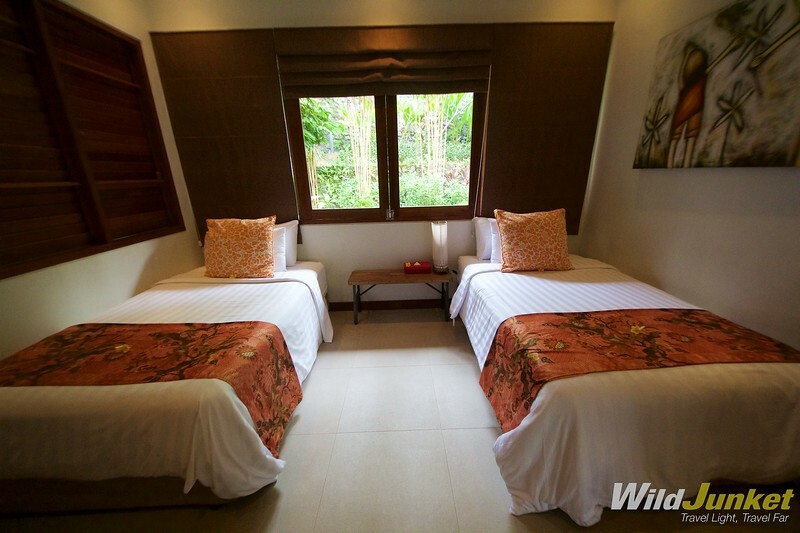 All the air-conditioned bedrooms include a safe, seating area and a wardrobe. 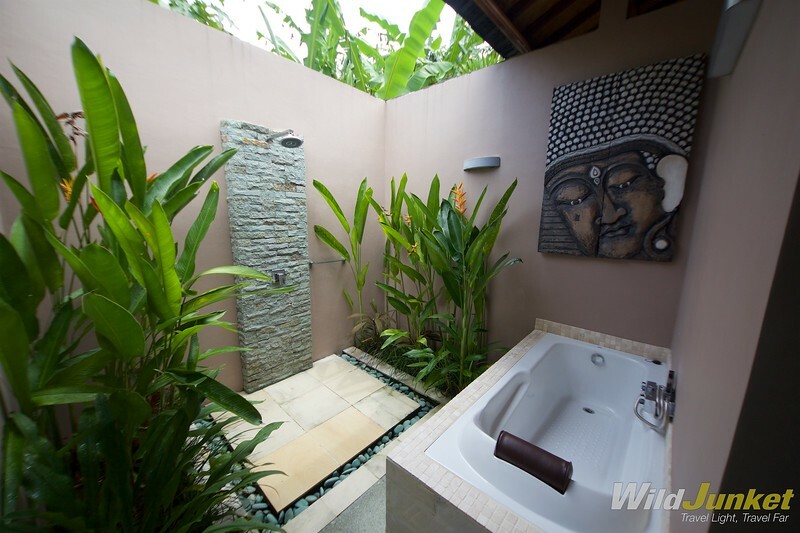 A bathtub, shower and a set of free toiletries are available in each private bathroom. 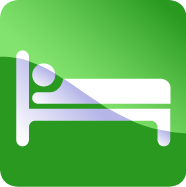 The hotel also provides baby cot to families with an extra charge. The unique location of Villa Umah Wa Ke amidst the jungles and by the riverside puts it at both an advantage AND disadvantage. 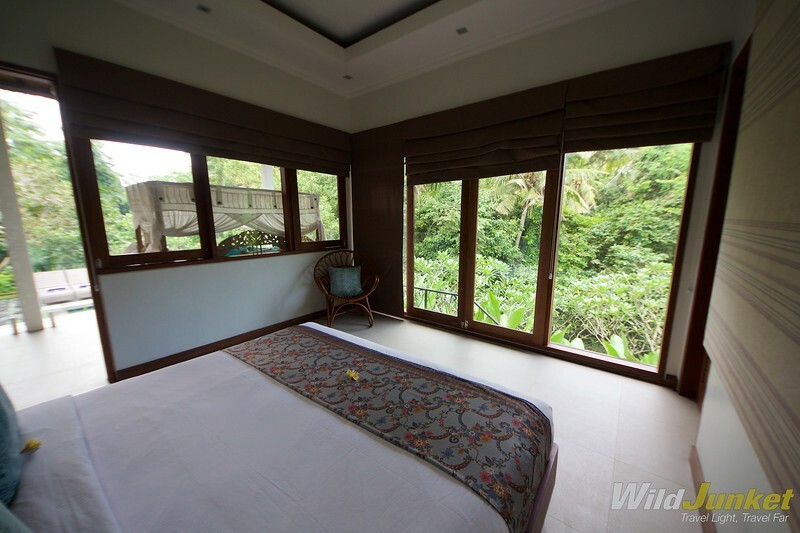 Because of the villa’s open concept, there is an overwhelming amount of insects all over the property. Every evening, there would be giant wasps, leaping frogs and huge troops of ants all over the living and dining areas. My two-year-old daughter even got a spider bite on her face, which resulted in a big swollen blister. Take extra precaution if you are staying here with your children. That said, my family really enjoyed our stay at Umah Wa Ke as we felt comfortable here just spending quality time together and enjoying nature right outside our villa. We also felt like we were experiencing the real Bali here — not the busy streets lined with souvenir shops and tourist restaurants — but the small villages, temples and family-run warungs (local eateries) where Balinese live the way they do in rural areas. 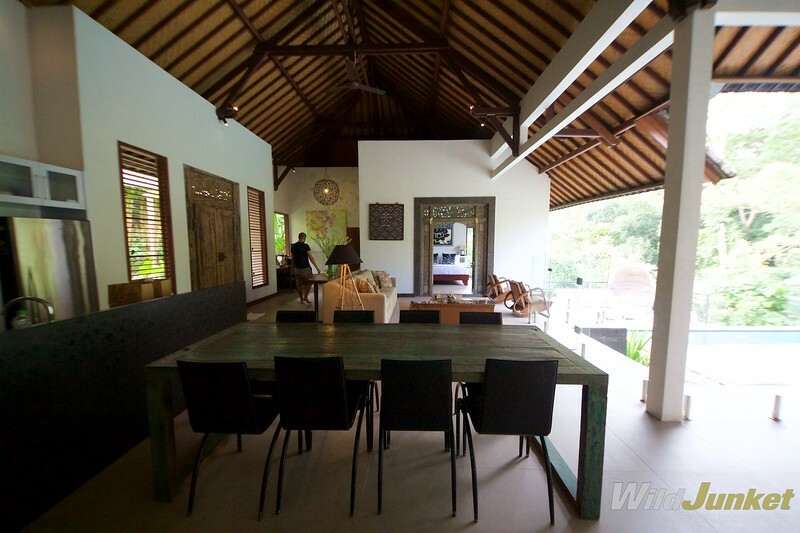 All in all, Villa Umah Wa Ke was a great place for my family to kick back and enjoy a quiet part of Bali. 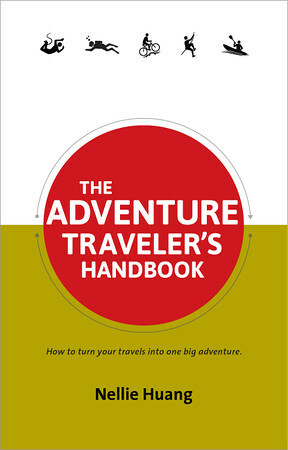 I would highly recommend this to families who are interested in immersing in rural Bali and enjoying life at a slow pace. Book a stay at Villa Umah Wa Ke here. A media room for movie night!